by Andy Higgs in Europe, Features, Home, Places, Switzerland. Growing up, I was one of a very select few English children lucky enough to experience skiing in the European Alps on a regular basis. This was due to my Dad getting the skiing bug and the fact that we had family friends with a chalet in Switzerland – one of the benefits of his working at SHAPE in Belgium with its international team, I guess. 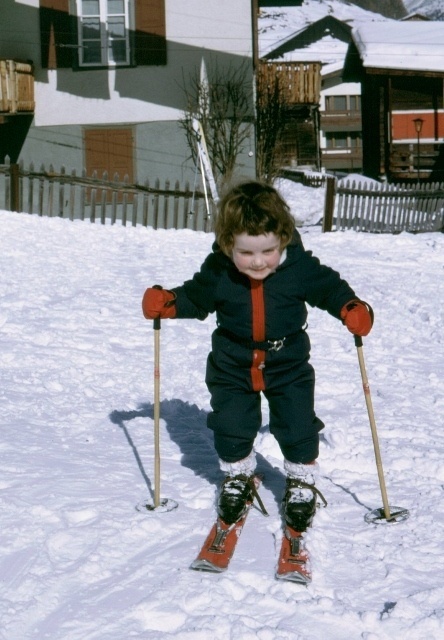 My first ever time on skis – yes, that is me in the photo above – was in Saas Fee, Switzerland. Back in those days (we’re talking the 1970s) it was still a village high in the mountains but word had got out and development soon began. Saas Fee is now regarded as one of the best ski resorts in Switzerland and yet has retained its charm and character despite its popularity. Top-class skiing at high altitude: There are some 150km of well-maintained ski slopes set within an area encircled by no less than 18 4 000-metre peaks. Visitors can ski at up to 3 600 metres above sea level, which guarantees snow all year ‒ yes, even in the summer. Take the opportunity to try the world’s highest glacier run or learn the basics at ski school ‒ Saas Fee offers both and everything in between. Try torchlit and night skiing: torchlit descents are a Saas Fee tradition and take place every Thursday – it’s an amazing experience but also looks spectacular from ground level if you would rather just observe. Night skiing can also be enjoyed on the same day and both begin at nearby Saas Grund. 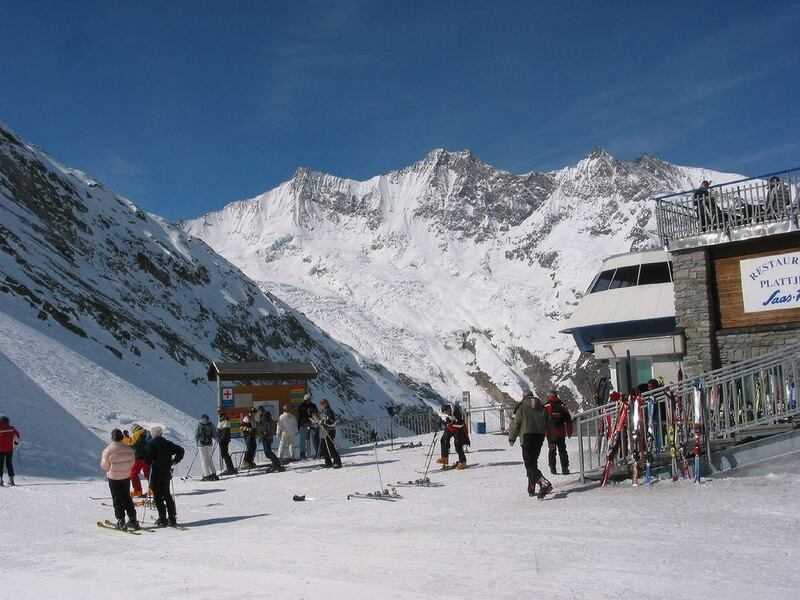 As well as regular downhill skiing and snowboarding, Saas Fee has extensive cross-country trails for those looking to get fit and try something different. Believe me, it’s hard work but well worth it. Snow-shoeing is another alternative that is also an option for non-skiers. I really enjoyed this activity and am sure other skiers will too – so why not give it a go? Walking is another alternative – the resort has 60 km of prepared walking trails. Indoor activities abound too – as well as the incredible Ice Pavilion 3 500m up the mountain and an interesting museum, the resort is also a very popular spa and wellness destination with Aqua Allalin offering everything to truly relax after all that piste-bashing. Beer – remarkably Saas Fee also hosts the highest brewery in Europe; something I missed and will have to return and check out! There is also an excellent restaurant scene in town – as well as the wonderful cheese fondue in all its guises other dishes range from the traditional to the experimental and you are sure to find something to tickle your tastebuds. Finally, Swiss hotels and hospitality need no introduction and the standard in Saas Fee is as high as you’d expect. From self catering apartments and family-run chalets to uber-luxurious spa hotels, there is an option for all pockets. “By now I should have you convinced, so why not learn more at the official tourism website, or start planning your family ski trip with a specialist like SNO?”? You can rent equipment if you don’t have your own, but make sure you have warm clothes for the evenings and non-skiing times. One of the most practical and stylish winter jackets I’ve come across is this parka from MUSTO – a perfect way to stay toasty in the mountains. This is no ordinary jacket; rather one created to allow its wearer to function fully in the toughest weather consitions. Taking inspiration from Arctic explorers, the Arctic GORE-TEX® Primaloft® Parka features a dual-layer shell treated with Durable Water Repelent (DWR) coating. 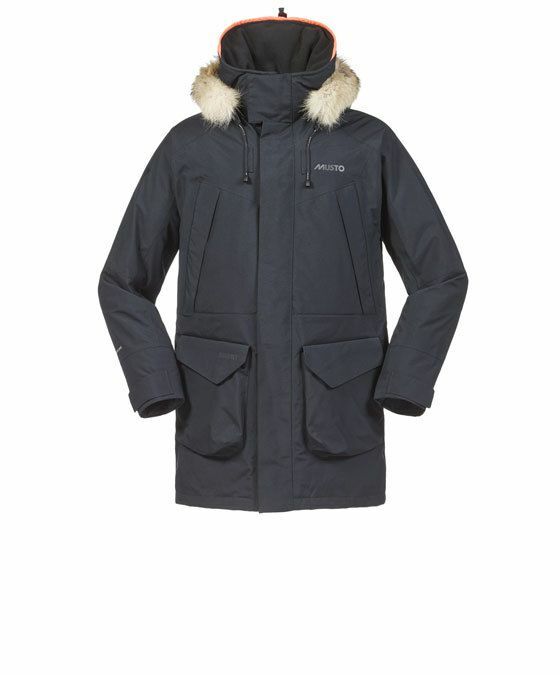 Taped seams ensure full protection and maintain breathability and the Parka is insulated to keep you warm. The hood is lined with coyote fur too – you’ll not freeze wearing this jacket.